The Arc of Butte County is a 501(c)3 non-profit organization, founded by the parents of people with neurologically based developmental disabilities. The mission of the Arc is to ensure the opportunity for persons with developmental disabilities to choose and realize goals which advance and enhance their quality of life. The Arc is further committed to reducing the incidence, and limiting the consequences of developmental disabilities through education, advocacy, and the support of family, friends and the community. Locally Arc provides a variety of direct care services to adults and children throughout Butte County, California. On November 8th the Camp Fire decimated the towns of Paradise, Magalia, Stirling City, and Concow in Butte County. The entire Paradise Ridge – almost 30,000 people - has been evacuated and its residents are now dispersed to local evacuation shelters or to family and friends across the state. The Arc of Butte County lost its Adult Day Program (ADP) center in Paradise. The “Elaine Pegg Adult Day Center” provided services for 35 developmentally disabled adult clients who attended daily. All of these clients have been displaced from their homes or care facilities by the fire, and 13 Arc ADP employees also lost their homes. Arc’s Independent Living Skills (ILS) program provides instructional services to 40 developmentally disabled adult clients who were living on their own in the Paradise area. All of these clients are displaced from their homes or apartments and 7 ILS instructors also lost their homes to the fire. The day of the fire Arc’s ADP supervisors in Paradise spent the early morning hours calling each ADP client’s home to tell them that program was canceled, and they should evacuate. Then, they called staff. Some staff came in to work anyway and chose to stay at the center just in case any clients showed up. When a few clients did arrive they drove them home or into Chico. Only then did the ADP Supervisors close up the building and leave. Sometime later that day the “Elaine Pegg Adult Day Center” burned down. The day after the fire Arc opened its other Day Programs in Chico and Oroville in order to accommodate any clients who, despite the chaos and heavy smoke, wanted to attend. And some did! Then in the hours and days immediately following the initial fire-storm, Arc’s staff concentrated their efforts on locating our evacuated clients and employees. By the following week we successfully accounted for all of our folks! Most had found temporary shelter in evacuation centers. Our ILS staff (even some who were themselves evacuated) continued to provide much-needed services for our displaced clients ensuring that they had a roof over their heads and helping them obtain food and clothing. A week later (after a mandatory closure) our Day Programs in Chico and Oroville re-opened and Arc vehicles were driving to evacuation centers all over Butte County to bring ADP clients to their nearest Arc day program. Without our staff, Arc cannot provide services. 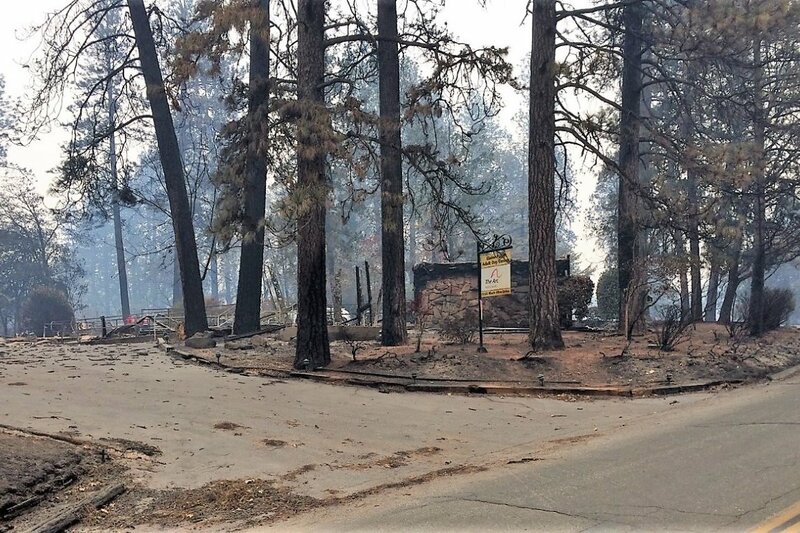 Now a priority for the Arc of Butte County is to ensure that our fire-impacted staff – 21 valuable, conscientious, direct-care providers - continue to reside in our county and continue to be employed by Arc so that they can continue to provide services and assistance for our clients. To that end we need to assist them in paying for new housing and the expenses associated with moving and with creating a new household. Goal: $42,000 for distribution among 21 Arc staff who are displaced and homeless.